You have long been teaching your gal the gains that come from the gallantry of the good. You have been working hard to teach her to help those less fortunate, to love thy neighbor, and to even share with her little brother (she’s getting better these days). Sounds like she is a real do-gooder! And maybe she deserves a granted wish. 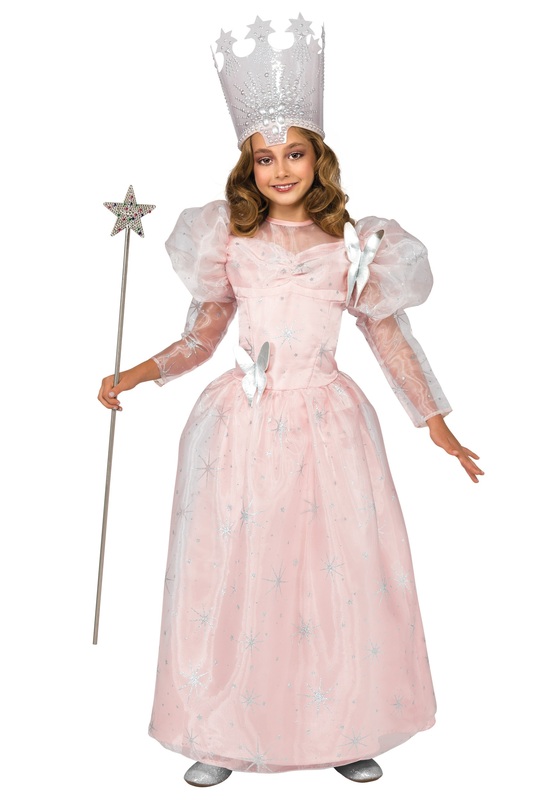 Well, then, we don’t know of a more perfect costume for your magical munchkin than this Deluxe Child Glinda the Good Witch Costume. In it, your daughter can embody her favorite kind of witch--the beautiful and sweet kind. She’ll feel exquisite when she’s done up as the Witch of the North, and they say that feeling good about yourself is the first step to being able to do right by others. That’s what they say. And they are very smart, whoever they are. And how could she not feel elated in this pink sparkly gown adorned in silver butterfly appliques? It would be nearly impossible. She’ll feel as though she’s floated into the room in a big bubble as shiny as the tall crown atop her head. She’s only a star wand and silver slippers away from Good Witch perfection, and then she’ll be ready to join with her friends or siblings in Wizard of Oz costumes for a fun group theme! Let the good times roll!